are met and is subject to closure without prior notice. Participates in a structured on-the-job training assignment in preparation for successful progression into a specific occupational field. Positions allocable to this class typically report to an assigned supervisor and/or mentor and receive both technical job training and guidance on workplace behavior, competencies, individual responsibilities, and development of occupational skill sets. Career Development Interns are assigned to assist in information technology/technical support on training assignments of typically 12 to 24 months which may vary in duration based on individual training requirements. During training, incumbents are expected to develop and demonstrate progressively increasing skills and independence of action as they gain experience and proficiency in their occupation. Career Development Intern assignments may be made on any shift in County departments having 24-hour responsibilities. In a training capacity and under supervision, participates in entry-level work in one of a variety of job assignments. These assignments may require incumbents to stand or walk much of the time, with bending, stopping, squatting, twisting, reaching, working on irregular surfaces, occasional lifting of objects weighing over 25 pounds, and frequent lifting of 10-25 pounds. Assists in the installation, maintenance, upgrade, and removal of information technology equipment such as personal computers, printers, and related devices. Assists in operating electronic computer equipment, including console, input and output devices, and off-line equipment in support of computer operations or maintenance. Assists in the development of routine computer system usage schedules and uses computer-assisted communication equipment. Process work through data entry on a computer or use computer-assisted communication equipment. Assists in the installation, maintenance, removal, or modifications of audio visual equipment. Foster Youth Program - Current enrollment in, completion of, or current or past eligibility for the Department of Children and Family Services' Independent Living Program and/or Probation Department's Independent Living Program (ILP). County Bridges Youth Opportunity Program* - Identification as an At-Risk Youth by a County of Los Angeles authorized department, other local, State, or Federal agencies or schools; or by a bona fide non-profit organization whose mission includes fostering or enhancement of employment opportunities for at risk youth. Homeless Hiring Program* - Individuals, who are homeless or formerly homeless as verified by bona fide participating agencies through the Department of Workforce Development, Aging and Community Services (WDACS), or have a Certificate of Completion from the Department of Public Social Services' WDACS' Los Angeles County Job Services' Job or Work Readiness Training Programs. Is regarded as having such an impairment or disability. (Applicants interested in obtaining the Department of Rehabilitation certification should contact Adrian Lazaro at (323) 720-4084 prior to a visit to their office). Note: Some examinations may require applicants to meet specific age limitations at time of appointment. Some positions in this classification, depending upon assignment, require possession of a valid California Class C Driver License to perform job related essential functions. Candidates offered these positions would be required to show proof of a driver license before appointment. 3 - Moderate. Includes standing or walking most of the time, with bending, stooping, squatting, twisting, and reaching; includes working on irregular surfaces, occasionally lifting objects weighting over 25 pounds, and frequent lifting of 10-25 pounds. Career Development Interns who performmoderate physical tasks as described in the Essential Job Functions will be required to pass a Class3 - Moderate physical examination. County Bridges Youth Opportunity Program - applicants will be required to upload a copy of verification of participation issued by County of Los Angeles authorized department, other local, State, or Federal Agencies or schools; or by a bona fide non-profit organization as verified by County of Los Angeles whose mission includes fostering or enhancement of employment opportunities for At-Risk Youth. Homeless Hiring Program - applicants will be required to upload a copy of verification of participation issued by a bona fide participating agencies through WDACS whose mission includes fostering or enhancement of employment opportunities for Homeless or copy of certificate of completion from the Department of Public Social Services' or WDACS' Los Angeles Job Services' Job or Work Readiness Training Programs. Disability Hiring Program - applicants will be required to upload a copy of certificate of Individuals Facing Barriers to Employment Program issued by DOR. Applicants who have been previously appointed as a Career Development Intern, Information Technology/Technical Support for more than 18 accumulative months will not be accepted. Candidates under 18 must present a work permit at the time of appointment. Incumbents in positions that require driving must be at least 18 years of age. Some positions may require applicants to meet specific age limitations at time of appointment. Achievement Orientation, Dependability, Customer Service Potential, Customer Focus, Conscientiousness, and Retention. MULTIPLE CHOICE TEST IS NOT REVIEWABLE BY CANDIDATES PER CIVIL SERVICE RULE 7.19 . Applicants must meet theSpecialty Requirements and receive a passing score of 70% or higher onthe examination in order to be placed on the Eligible Register. Please note: Invitation Letters for the multiple choice test may be sent electronically to the email address provided on the application. It is important that applicants provide a valid email address. Please add jmacam@hr.lacounty.gov to your email address book and to thelist of approved senders to prevent email notifications from being filtered as SPAM/JUNK mail. Notice of Non-Acceptance and Final Result letter will be mailed via USPS. Multiple choice test scores cannot be given over the telephone. Applicants that have taken identical multiple choice test for other exams within the last (12) months will have their score automatically transferred to this examination. Applicants who are also concurrently applying for CDI, Office Support/Clerical Support (R8250L) will take the identical multiple choice test one time only. The resulting score from this examinationwill be transferred to CDI, Office Support/Clerical Support (R8250L), if applied. This examination contains test part that may be used in the future for newexaminations. Your score will be transferred to the new examination and may not be allowed to re-take any identical test parts for at least 12 months. Study guides and other test preparation resources are available to help candidates prepare for employment tests. An interactive, Online Test Preparation System for taking practice tests may be accessed on the Department of Human Resources website at http://hr.lacounty.gov/ . Please click on "Find a Job" and then "Job Search Toolkit." Test Preparation Information is located under the "Employment Test Assistance" section. You can also access test preparation for the computerized portion of the test by going to http://www.shldirect.com/practice_tests.html . While these practice materials will help in preparing for the test, we advise you to review ALL related materials that you deem necessary. The names of candidates receiving a passing grade in the examination will be placed on the Eligible Register in the order of their score group for a period of twelve (12) months following the date of promulgation. Applications will be processed on an as-received basis and promulgate to the Eligible Register accordingly. 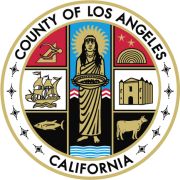 The resulting eligible register will be used to fill vacancies in various Departments in the County of Los Angeles as they occur. Applications must be filed online only. We must receive your application and additional documents, if any, by 5:00 pm, PST, by the last day of filing. Applications submitted by U.S. Mail, Fax, or in person will not be accepted. Apply online by clicking on the "Apply" tab for this posting. You can also track the status of your application using this web site. All information is subject to verification. We may reject your application at any time during the examination and hiring process, including after appointment has been made. Falsification of any information may result in disqualification or rescission of appointment. Fill out your application completely. The acceptance of your application depends on whether you haveclearlyshown that you meet the Specialty Requirements . Provide any relevant education, training, and experience in the spaces provided so we can evaluate your qualifications for the job. For each job held, give the name and address of your employer, your job title, beginning and ending dates, number of hours worked per week, description of work performed, and salary earned. If your application is incomplete, it will be rejected. SOCIAL SECURITY NUMBER:Please include your Social Security Number for record control purposes. Federal law requires that all employed persons have a Social Security Number. COMPUTER AND INTERNET ACCESS AT PUBLIC LIBRARIES:For candidates who may not have regular access to a computer or the internet, applications can be completed on computers at public libraries throughout Los Angeles County. NO SHARING OF USER ID AND PASSWORD:All applicants must file their application online using their own user ID and password. Using a family member'sor friend's user ID and password may erase a candidate's original application record. With a population of more than 10 million people and 88 cities, Los Angeles County has more residents than any county in the nation. The County is governed by a five-member Board of Supervisors who are elected on a non-partisan basis and serve four-year terms. As the governing body, the Board of Supervisors serves as both the executive and legislative authority of the largest and most complex county government in the United States. Three elected officials (Assessor, District Attorney, and Sheriff) also serve the needs of the County’s residents. The County employs nearly 112,000 full-time personnel to serve its diverse population. Selected by Forbes Magazine as one of America’s Best Employers of 2018, the County has an annual budget in excess of $30 billion with 35 major administrative units or departments serving the needs of the County’s residents. Please mention you found this employment opportunity on the CareersInGovernment.com job board.